Ask fellow campers about "Canyon Creek Golf and Camping" and nearby attractions. Question: Does Canyon Creek Golf & Camping have RV sites with sewer hookups??? The park is very clean and generally the staff was accommodating with requests. All sites are generally level, easy to back into and very spacious. If you're a golfer the first tee is 2 minutes from trailer site. You will not be disappointed with the course grounds. 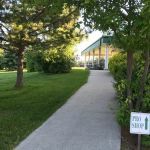 This 9 hole course is very well maintained. We will definitely return. 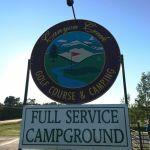 We camped at Canyon Creek Golf and Camping in a Travel Trailer. Book a tee time, as they fill up very quickly on the weekends. We stayed here two nights. Sites in area we were in are all back in but very easy and spacious. Layout is such that neighbors are forward or behind each other giving nice roomy feel. Staff were friendly and helpful at check in. Golf course is very nice. This park is on our must return for longer stay list. We camped at Canyon Creek Golf and Camping in a Fifth Wheel. 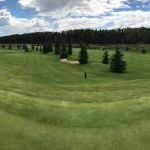 Are you affiliated with Canyon Creek Golf and Camping ?